Courtesy of Keller Williams Realty, Mary Cornelius. 4 bedroom, 1 story home zoned for Keller ISD situated perfectly in the well-kept secluded Lonesome Dove Estates. Recent kitchen remodel includes freshly painted white cabinets w shaker fronts and updated hardware, finished off with an upgraded tile backsplash. Replaced carpet and installed updated granite countertops in bathrooms. Highlights include rich hand-scraped hardwood floors throughout, see through rock fireplace with gas logs, split bedrooms, and 2 spacious living areas. Roof was recently replaced in 2018. AC replaced 2017. Great outdoor spaces includes a covered patio, large backyard grass area, privacy fence, and rear entry garage. Don’t miss out on this charming home! Please, send me more information on this property: MLS# 14003898 – $360,000 – 752 Trails End Circle, Hurst, TX 76054. 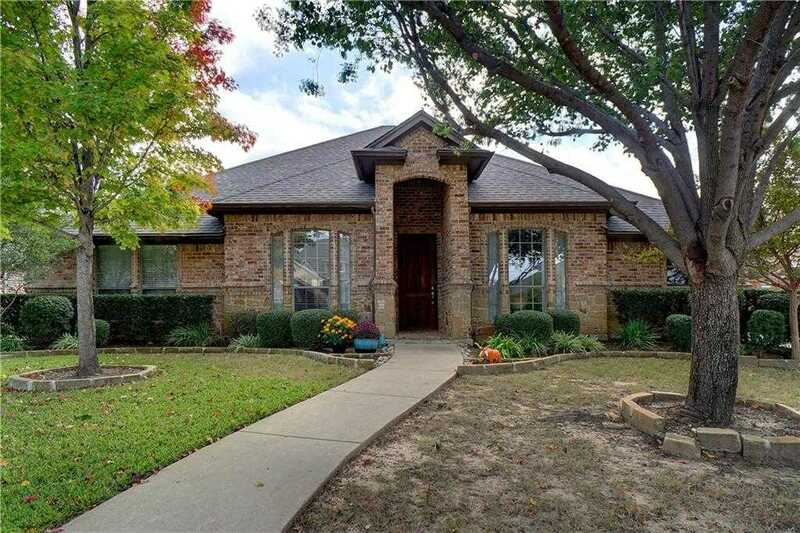 I would like to schedule a showing appointment for this property: MLS# 14003898 – $360,000 – 752 Trails End Circle, Hurst, TX 76054.